The inaugural edition of the European Gaming Congress was held in Ljubljana, Slovenia, on 16 October. 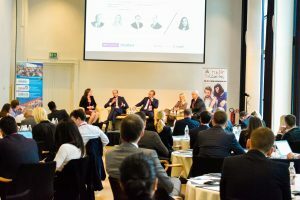 The event was organized by European Gaming Events and was designed to provide the participants with an opportunity to discuss burning issues on the gaming markets and regulatory updates in the countries of Mediterranean, Balkan, and DACH region. 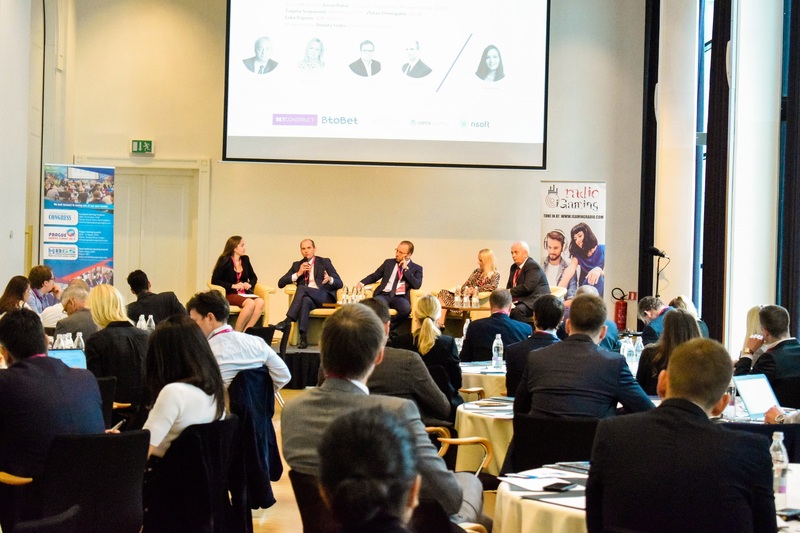 Our partner Luka Popović, head of our gaming practice, participated as a panellist on the “Highlighting the Balkans” panel. The panellists and participants talked about regulatory novelties and trends in the industry which is diversely regulated across the continent. At the EU level, there is no sector-specific legislation and the Members States are not obliged to harmonize their gaming regulations, but they do have to comply with the fundamental freedoms established under the Treaty on the Functioning of the European Union (TFEU). The need to ensure compliance with TFEU principles motivated the EU Commission to notify Slovenia in 2012 that its Gambling Act was in breach of the EU legislation because it restricted access to land-based casino operations to Slovenian companies with majority state ownership, and restricted online gambling licenses to Slovenian companies already holding licenses for land-based casinos. 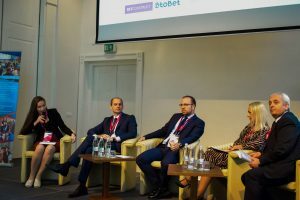 The Slovenian Gambling Act has not yet been amended in this respect, but it was heard from the panellists at the session focused on Slovenia and Croatia that the amendments are around the corner. The amended legislation is expected to open casinos and online operations to foreign companies and private investors. The Croatian restrictive regulations and overtaxation of betting stakes and winnings pushes many players to online betting platforms licensed offshore. This trend jeopardizes local betting operations. What also characterizes Croatian gaming market is the absence of IP blocking or other protective mechanisms against cross-border online offering by foreign operators. In Montenegro, the government has announced that it would prepare the amendments to the gaming legislation by the end of 2018. The market has not seen lottery products since 2016 when the concession of the incumbent monopolistic lottery operator expired, because the legislation does not sufficiently regulate the concession award process. New concession will be tendered after the amendments to the existing legislation are enacted. It is yet to be seen whether the government will maintain private monopoly by awarding only one lottery concession. If this approach prevails, the concessionaire will probably be subject to concession fees additional to those under the present law, such as one-off initial concession fee. Online operation rules need more clarity as well. This area is currently underregulated. Licenses are issued without any restriction on, or specification of, the type of online products covered. It has been a matter of debate whether a single license can be used to offer games on more than one website. Furthermore, casino concession award fee of EUR 2,000,000 is expected to be reduced as it turned out to be a business barrier to entry. Since its introduction in 2007, no new concessions have been issued while the fiscal effect of this fee is zero. Finally, the current legislation falls short of addressing gambling addiction. It is therefore realistic to expect that the amendments will also impose new obligations on the operators related to prevention of gambling addiction. Italian blanket ban on gambling advertising is a hot topic in the industry. The ban applies to any media platform, such as television, radio, and internet, and any other means of advertising, including carrying sponsor’s name on the sports equipment. The only exemption is advertising of products and services of the state-owned lottery. The ban will be effective as of 1 January 2019 but will not affect the agreements entered into prior to the adoption of the ban (14 July 2018), which may remain valid through the agreed term but not later than 14 July 2019. The most severe blow will be taken by the online operators as they heavily depend on internet advertising. The ban threatens to kill this industry segment as it will direct the customers to online operators not licensed or regulated in Italy who are not affected by the ban. The industry is unison in criticising the ban as a populist move of the Italian government made without any serious analysis. Although Italian government’s officials announced that they would advocate the same ban at the EU level, it is unlikely that this stringent measure will be replicated in other jurisdictions.